Since my daughter was a very little girl we’ve read books together. In the early days this was easily accomplished. Bedtime stories and cuddling on the couch with picture books brought smiles all around. As she has gotten older this has become more of a challenge. We compete with schoolwork, screen time, and activities of all sort. But I don’t want to give up our reading time, (which is really bonding time for us), so we started an after-school mother/daughter book club. Every other month we pick out a new book, gather our snacks and friends, and read aloud. As any book club member knows, finding just the right book is the tough part. This month we found a true gem at the Cedar Rapids Public Library in Little Leaders: Bold Women in Black History. 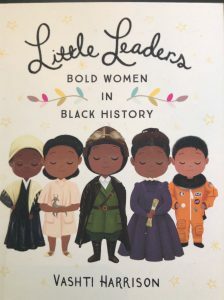 In Little Leaders, author and illustrator Vashti Harrison tells the stories of forty black women who overcame challenges to find success in their lives and bring positive change into the world. 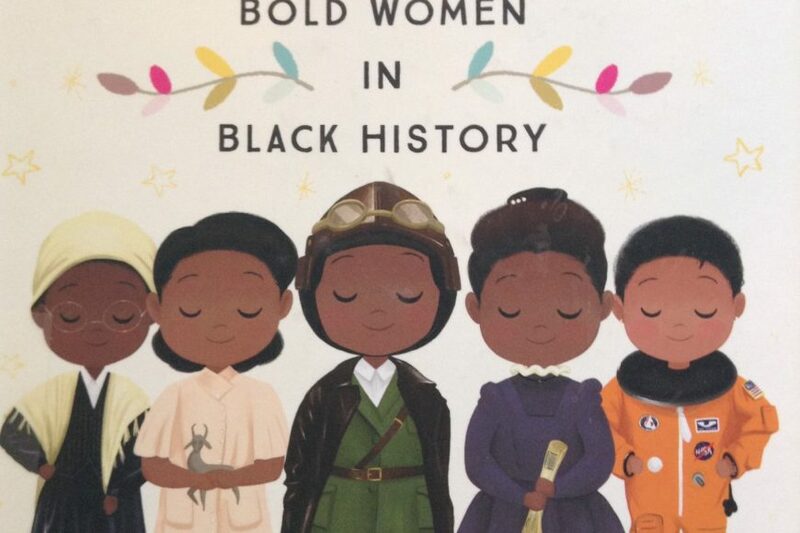 Beginning with poet Phillis Wheatley born in 1753, these women were pioneers in the arts, sciences, sports and beyond. Each story is accompanied by a beautiful illustration. Harrison is a graduate of the University of Virginia and went on to study at the California Institute for the Arts, also known as the Disney School of Animation. We learned that Olympic medalist Dominique Dawes came up with a personal motto when she was nine years old: Determination * Dedication * Desire. She wrote this on a mirror in shaving cream to keep herself encouraged. We had each book club member come up with her own motto and make it into an art project. We listened to music by jazz singer Ella Fitzgerald, the first African American woman to win a Grammy, and learned about the Harlem music scene and scatting. The girls thought “A-Tisket A-Tasket” was a pretty awesome song. While many of our girls were participating as attorneys and witnesses in a mock trial competition at school, we learned about Sojourner Truth one of the first black women to file a court case in the United States and win. The girls were shocked to learn that she was in court to save her son who had been sold far away into slavery. This book is a wonderful jumping off point into history, culture, leadership skills, and the idea of never giving up no matter how impossible the road appears. I would say the book is perfect for grade school and middle school readers. But I loved it as an adult, too. I hope you get the opportunity to check it out and share it with your loved ones.